Love or hate them, it's hard to deny that Apple are the most successful company in the world when it comes to marketing their products. I have often joked (or half joked) that Apple does not sell technology - they really sell desire. Here are some quick lessons that every company can take from them and how these lessons apply to your website. Each version of this phone looked great. 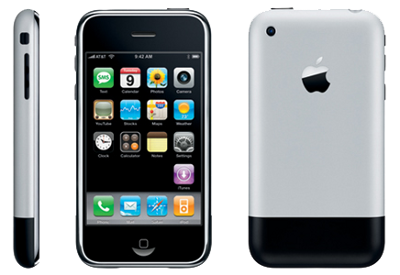 Apple never release anything that doesn't look great, but every phone looked better that the last! You can also expect that their next phone will look even better. This is the constant improvement that makes Apple who they are. You should have the same attitude to your website. Constant improvement. Always make it look as good as possible, and then look at ways of making it better. One final point... if Apple decided to wait until they had the perfect looking phone then they would never have released any phones at all and that market would have been filled by somebody else. Do not try to make your website "perfect" because everybody else will pass you by. And then even if it is perfect you will think of improvements anyway so waiting was a waste of time. Not very interesting is it. Too often people rely on the design or the "template" when making a website and they forget about the content. Many DIY products will promise hundreds or thousands of "professionally designed" templates to use with your site. 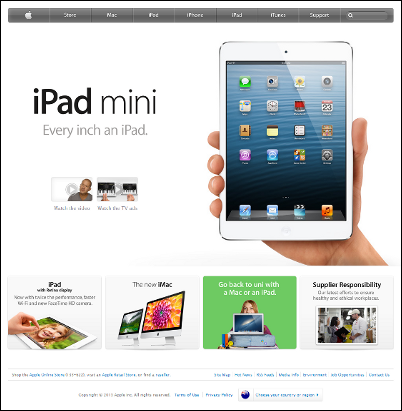 Everybody has heard the phrase "content is king" and Apple's website shows why. Without pictures and words your website is nothing. Always remember that your website is dressing up a story in a way that people will read it. The design of your website is important, but not as important as what it has to say. 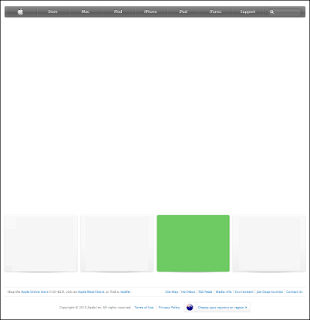 Apple's website also shows the value of having great photography and artwork. They have other formats but they all share the same features - classy, simple, non-aggressive, no attachments, always linking back to their website. I am always puzzled when email arrives in my inbox that has a PDF newsletter attached and a message that says to click to open it. Or a multi-column extravaganza of different things the author wants to throw at me. 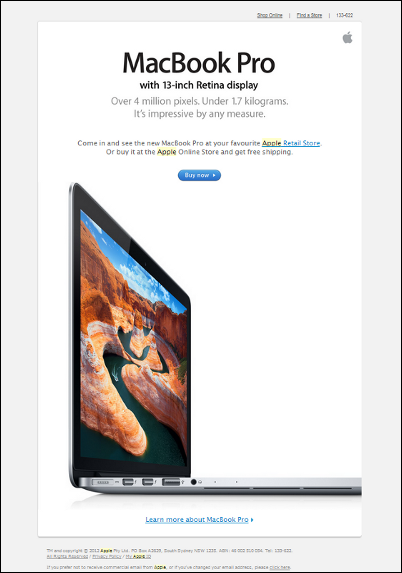 By far the worst though is when bulk emails arrive that have different colour text and big bold writing as if the sender wants to bludgeon me into buying whatever it is they are selling. None of that stuff works. In fact, my experience is that when emails do any of these the number of unsubscribe requests increases. Sometimes when sending bulk emails you just have to take a deep breath and ask yourself "would I like to receive this?". Then calm the email down a bit. Don't try to be perfect first time. Content is at least as important as design. You will get far better results for the time and money you put in.